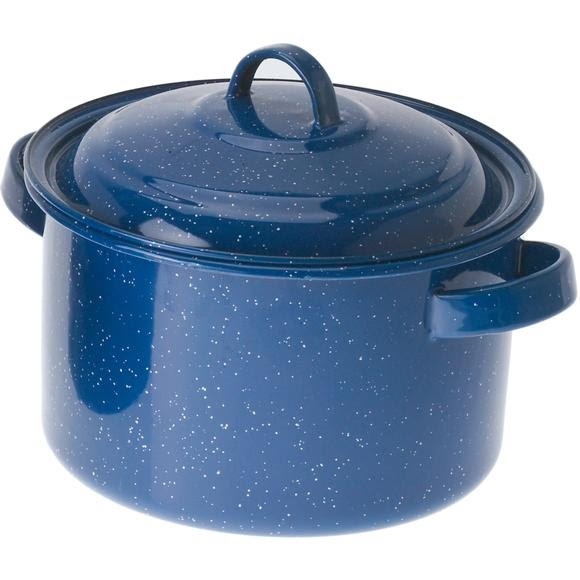 Enamelware blends old-fashioned charm and functionality into one sturdy package with the 4 Quart Enamelware Stock Pot. GSI Outdoors enamelware is kiln-hardened twice at 1400°F to stand up to scratches and chipping. Dimensions (packed) 10.50" x 8.70" x 5.50"